The 14th Annual Congress of EBAN was not a place where only investors’ points of view were presented. It rather was an arena exposing the apparatus of multisource information production. As such, the EBAN Annual Congress unavoidably served also as a statement which disclosed results on academic research related to Angel Investment. Lourdes Moreno from Deusto University, in cooperation with EBAN, conducted a research aiming to answer the simple but very important question of the impact that angel investment has on the performance of European startups. The research, which collected 3208 investments between 2004 and 2013, narrowed down to a sample of 1661 companies across 37 European countries which were analysed for their economic impact. The impact was measured in the three years that followed the investment and tracked: employment, revenues, asset size and EBITDA. The results indicate angel investment to have an impact above expectations on the ecosystem where companies which received such investment operate. 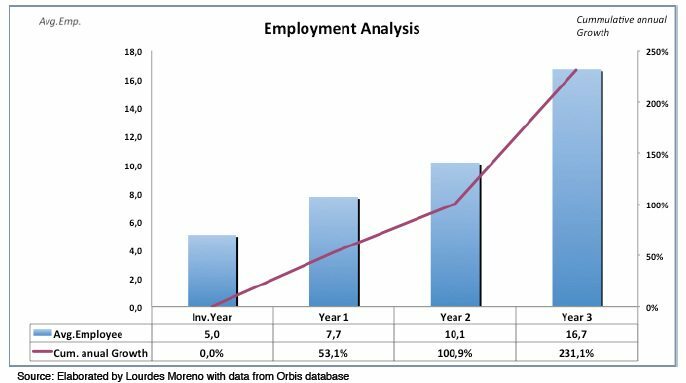 Starting with the impact on employment, it results that, on average, the employment rate more than triples. While the average number of employees was five at the time the first angel investment, this figure grew 231% by year three when on average the same companies employed 16.7 people. The impact on revenues generated and company assets also reflected a consistent growth increasing on average 150% and 156.5% respectively. The average revenues per company record an increase from €0,7M to €1,8M million during the four years period. 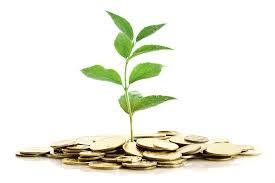 The assets growth records a similar pattern increasing from €0,8M to €1,9M. Concerning EBITDA, the research indicates that start-ups do not reach break-even during the analysed 4-years period which is some how aligned with the fact that angel investors are usually only able to exit investments after the fifth year of investment. Only a longer observation can tell when EBITDA will turn to green. This was not possible due to the lack of a statistically relevant sample to analyse the fith year and onwards. Further research will certainly dedicate on the collection of data for longer periods. The study goes through some sectorial differences which are worth noting. For instance, EBITDA in the ICT sector is already positive by year three after investment while the Media sector is the one generating more jobs. This research, the first to be extracted from real data instead of market surveys, demonstrates the impact of startups and notably the impact of angel investment in their growth. It also highlights the importance of dedicating further research to this field. An enriched analysis will comprise country specific research, bigger sector samples and longer periods. New research should also focus in the mortality rates of the companies and a better explanation on the ROI by the angel investor. Finally, the implications raised from the research indicate that EU public policies should encourage angel-funded start-ups. Their impact and the jobs they create justify specific efforts to foster this investment activity in as many geographies as possible.